Sprouting Seeds is our afternoon enrichment program for students in kindergarten through fifth grade. 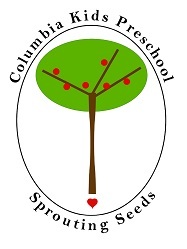 The Sprouting Seeds cooperative community is made up of two outstanding teachers and a small group of dedicated parents and their children. Public, private and home school students take part in Sprouting Seeds. The families of Sprouting Seeds have created an alternative learning community by embracing the talents of both teachers and parents, who collaborate in developing the curriculum each quarter. We foster our children’s inherent desire to learn by integrating traditional academics with dynamic curricula and contextual education. Our primary enrichment program is centered on extended unit studies. Every week in the classroom, children are involved in home- or class-reading book discussions, contextual math, classroom responsibilities, seasonal studies, journaling, and in-depth projects related to unit topics. Parents and teachers meet regularly to design each unit’s curriculum, and parents develop unit-related projects to share with the students in class. Classroom assistance is provided by each parent through facilitating projects, lending literary support at journaling, and providing nourishing snacks for the class. We are a not-for-profit cooperative, meaning we have no paid administrative staff. Parents serve on the board, help in the classroom, provide snacks and raise funds, all of which keeps tuition affordable. Plus, the bonds parents and families form through their involvement are among our school’s greatest strengths. Our schedule changes each year to accommodate the specific needs of enrolled families. Grades 2-5: Wednesdays, 12:30-4 p.m.
All students: Fridays, 12:30-4 p.m.